" Keeping the Well Filled With Creativity"
Creative people are dependent on their imaginations. The perpetual answer to, “What if?” fuels the work of artists, choreographers, teachers, writers and anybody who relies on ideas for sustenance. Ideas are generally responses to sensory input from the world we experience day in and day out. If all it takes is the world to stimulate creative ideas, where did the idea of “writer’s block” come from? How is it possible NOT to have something to write about if all we need is experience? Writers become too comfortable in their surroundings and what feels like consistency becomes boredom. Boredom becomes complacency. When the brain is bored it shuts down. When we stop feeding our brains a variety of sensory impulses, we go on autopilot for a while, then the ideas dry up. In Julia Cameron’s book The Artist’s Way, she describes a process called “filling the well” as the work creative people require on a regular, ongoing basis in order to maintain “focused attention,” or what I call awareness. Many people think they are aware, but most people are secure in their situations because they have created and repeated them over and over until the sensory organs shut down and they think they are experiencing writer’s block. While it’s popular to say you have or have had writer’s block, I think it’s a bunch of whooey. Because if we journal often enough, read plenty, exercise regularly, avoid foods that cause us problems, and engage the world in new ways then writer’s block is a myth. A writer may not have the whole story plotted out or be writing on the work-in-progress every single day, but as long as that writer keeps the keyboard tapping or the pushing the pen or the body and the mind thinking and moving, they are not blocked. Ever. How does it work? I was in the audience at a book fair several years ago and young adult bestselling author Phyllis Reynolds Naylor was answering questions. A young man asked what she did when she had writer’s block. Ms. Naylor responded, “I never have writer’s block. I have writer’s diarrhea. 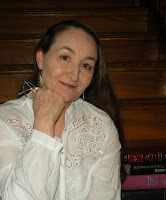 I don’t have time to write all the stories I can think of.” A very prolific writer, Naylor knew that the more she wrote the more she had to write, but everyone gets tired. That’s when the brain needs entertaining and the chance to feed itself with sights, sounds, motions, smells, and feelings it hasn’t experienced recently to shake up the creative juices and get them spilling onto the page again. This is what I refer to as creative play. It’s when a writer takes a leap out into the world and thoughtfully fills her mind with the ideas, arts, and images of other creative people. It’s more than reading a good book or going to the movies. It’s going to museums, taking walks, taking pictures, doodling in a journal, taking a class in ceramics or ballroom dance, and attending concerts and lectures that open your awareness to the possibilities out there. The practice of creative play or “filling the well” is the opposite of what most writers do all day in their jobs. That’s primarily why it’s such a challenge. Our writing is about us and just us. We manipulate fictional lives and imaginary settings, but creative play demands we go out in the world and gain a new awareness by appreciating the work of other artists. It’s that simple. Appreciate someone else’s work in a deep, thoughtful manner on a regular basis and you will never run out of anything to write. What do you do to keep the well full of creative juices? Have you checked out my writer's guide to health and creativity? 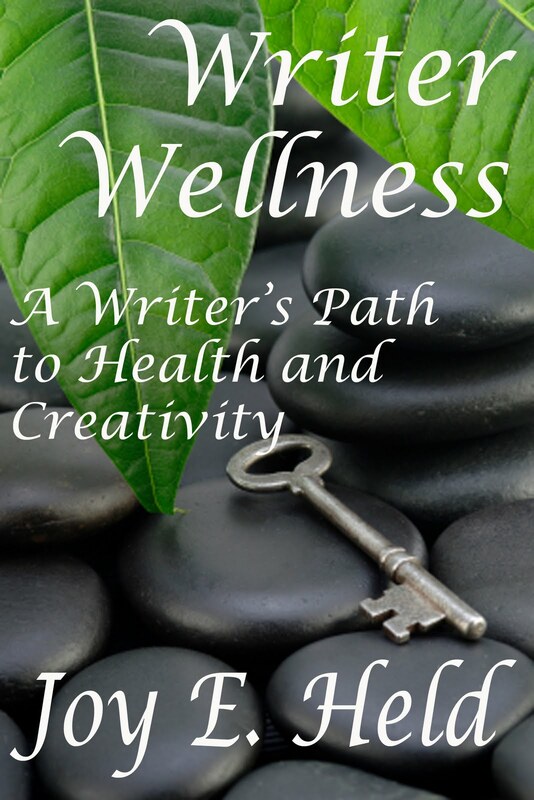 Writer Wellness, A Writer's Path to Health and Creativity (Who Dares Wins Publishing, 2011, http:whodareswinspublishing.com) is packed with ideas to help you in many ways. Visit my blog to get a taste of how to journal, exercise, relax, eat, and stay creative.